slump test is a method used to determine the consistency of concrete. The consistency, or stiffness, indicates how much water has been used in the mix. The stiffness of the concrete mix should be matched to the requirements for the finished product quality Concrete Slump Test. The concrete slump test is used for the measurement of a property of fresh concrete. The test is an empirical test that measures the workability of fresh concrete. More specifically, it measures consistency between batches. The test is popular due to the simplicity of apparatus used and simple procedure. 1) To obtain a representative sample, take samples from two or more regular intervals throughout the discharge of the mixer or truck. DO NOT take samples at the beginning or the end of the discharge. 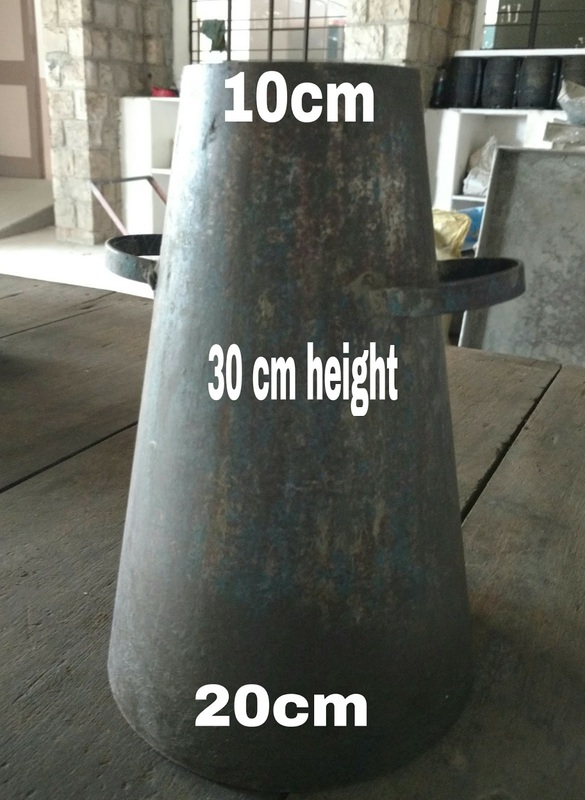 2)Dampen inside of cone and place it on a smooth, moist, non-absorbent, level surface large enough to accommodate both the slumped concrete and the slump cone. Stand or, foot pieces throughout the test procedure to hold the cone firmly in place. 4)Fill cone 2/3 full by volume. Rod this layer 25 times with rod penetrating into, but not through first layer. Distribute rodding evenly over the entire cross section of the layer. 6)Remove the excess concrete from the top of the cone, using tamping rod as a screed. Clean overflow from base of cone. 8)Lay a straight edge across the top of the slump cone. Measure the amount of slump in inches from the bottom of the straight edge to the top of the slumped concrete at a point over the original center of the base. The slump operation shall be completed in a maximum elapsed time of 2 1/2 minutes. Discard concrete. DO NOT use in any other tests. In a collapse slump the concrete collapses completely. A collapse slump will generally mean that the mix is too wet or that it is a high workability mix, for which slump test is not appropriate. In a shear slump the top portion of the concrete shears off and slips sideways. If a shear or collapse slump is achieved, a fresh sample should be taken and the test is repeated. If the shear slump persists, as may the case with harsh mixes, this is an indication of lack of cohesion of the mix. This is the only slump which is used in various tests.Mixes of stiff consistence have a Zero slump, so that in the rather dry range no variation can be detected between mixes of different workiability.